← How Should Mold Be Cleaned? 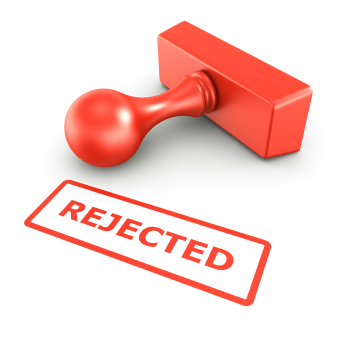 WHY DID MY SHORT SALE GET REJECTED? Ever since the housing market crashed, homes are underwater, upside down and facing foreclosures at alarming rates. However, with the recent boom in short sale transactions, the problem some how became part of the solution. Short sales have now become a serious “player” in the real estate market, but getting the Lender(s) approval and closing on a short sale is a different story. If you are considering a short sale, you need an experienced realtor and attorney to get the job done right. As you continue below, there are many reasons why a Lender would reject your short sale. The Lender could reject a specific offer, or an entire short sale. Of course, every situation will be very fact specific, so if you are seeking a short sale in Southwest Florida, I urge you to speak with a licensed Realtor (Kristen Pell) and licensed Florida Attorney before you fall too far behind and a foreclosure action is brought by your Lender. To start, let me get one recurring issue out of the way: If a foreclosure will net the Lender more proceeds than a short sale, it will be difficult to get the Lenders consent for it. This is a question that every short sale negotiator should address with their client’s from the onset. Borrower Owes More Than the Property is Worth. This scenario is all too common. If you’re facing a situation where you potentially owe a lot more than the FMV of the property, you should speak with an attorney to discuss your options. If there is too much of a discrepancy between the value of the property and what is owed, the lender may not be willing to agree to a short sale at all. In this situation, it makes fiscal sense to the Lender to “invest” a little bit more now, in hopes of recouping greater proceeds through a foreclosure, sheriff’s sale, and a deficiency judgment on the back end. If this is the case, a repayment plan or a promissory note may be required. This issue could be an entirely separate blog, so I won’t go into much detail. Let me just say that if there is more than one mortgage or lien on your home, it would be in your best interest to seek legal advice. Getting a primary lien holder to agree to a short sale has its own challenges, let alone multiple lienors with varying interests and priority. Come back here next week as I conclude reasons why your short sale may have been rejected! Posted on June 20, 2012, in Legal and tagged Appraisal, Attorney, Borrower, BPO, Broker's Price Opinion, Buy a Home, Buyer, Closing, Deficiency Judgment, Fair Market Value, FMV, Foreclosure, Kristen Pell, Lawyer, Legal Schmegal, Lender, Lien, Lien Holder, Loan, Market Crash, Mortgage, Negotiator, Offer, Property Guiding, Realtor, Seller, Short Sale, Southwest Florida, SWFL Real Estate, The Guirguis Law Firm, Underwater, Upside Down, Vernon Guirguis. Bookmark the permalink. Leave a comment.